YOUR GM LS ENGINE CAMSHAFT SPECIALISTS! 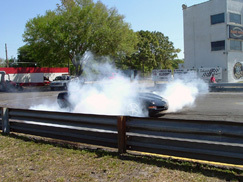 OUR EMPLOYEES DRIVE & RACE THE PRODUCTS THEY PROVIDE OUR CLIENTS! WE HAVE A NO BS POLICY! THE TRUTH ABOUT AFTERMARKET ROCKER ARMS! VISIT OUR TECH & TUNING TIPS PAGE! OK! YOU ASKED US & WE RESPONDED! WE HAVE EXTENDED THE SALE UNTIL PRESENT SUPPLY IS DEPLETED ! lifters, spring kits, pushrods, rockers, etc! CHECK OUT OUR COOL NEW CAPS, SHIRTS, & DECALS. This page best viewed at 1024 X 768 using Internet Explorer 5.5 or above.